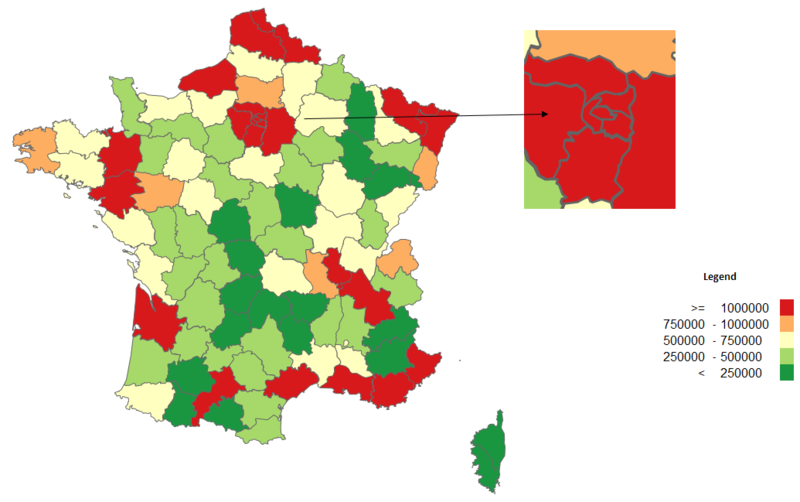 We will start with the map that was the end result of classifying data for filled map (choropleth map). The area around the capital city of France – Paris – seems to be very busy. Let’s give a zoom for the end-user. 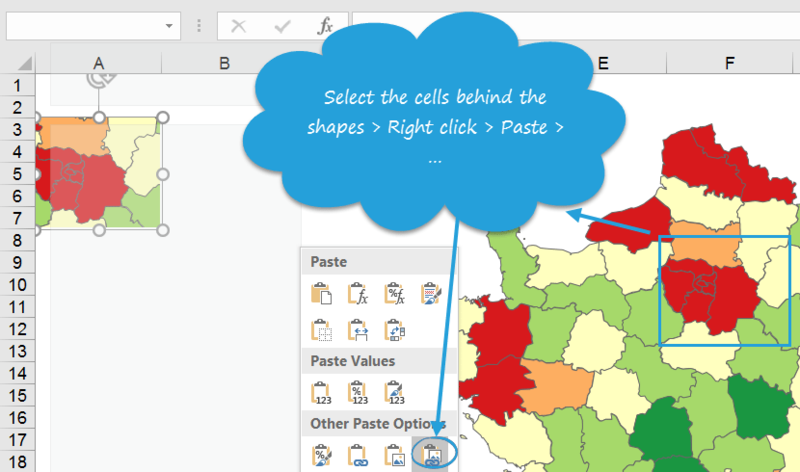 We need to select the cells behind the shapes > copy > paste special as linked picture. The picture can be edited as any other Office picture – you have Format tab to be used for e.g. picture cropping. 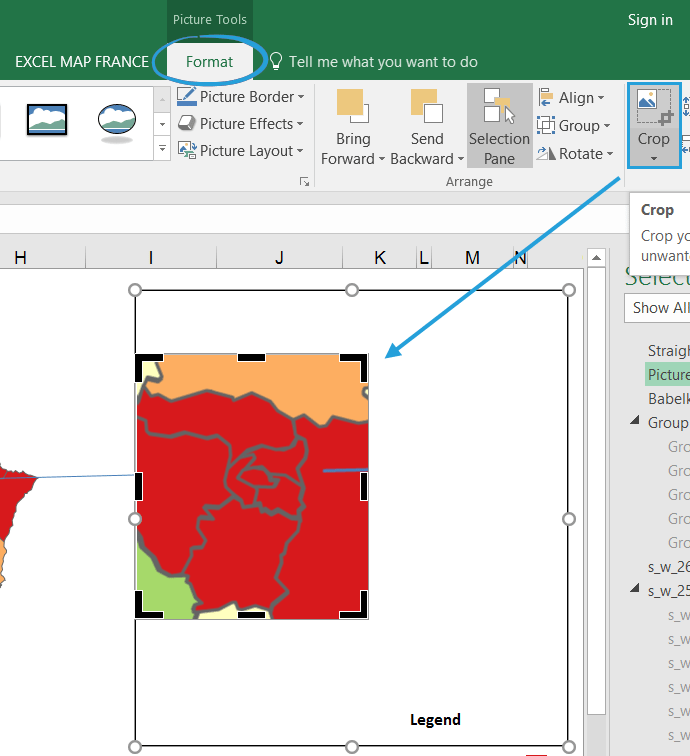 PreviousPrevious post:How to drill down on Excel Map France?NextNext post:How to compare consequtive years on the map?